You are here: Home » News » News & Updates » Could Cockroaches Inspire The Aeroplanes Of The Future? 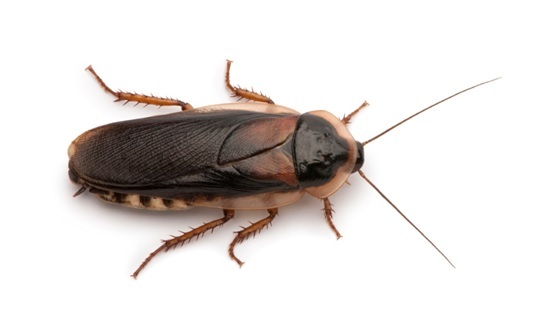 Could Cockroaches Inspire The Aeroplanes Of The Future? Cockroaches and aeroplanes. They’re not exactly two things you would associated with one another. But according to some fascinating new research, we may have cockroaches – and their legs in particular – to thank for inspiring the aircraft designs of the future. Researchers at Trinity College in Dublin are exploring the composition of various insect legs in the hopes of learning insights that could enable engineers to improve aircraft designs. More specifically, they are hoping to discover how the legs of insects such as cockroaches are able to buckle and bend when pressure is applied to these appendages. This could lead to the development of improved designs for the long tubular structures commonly found in aircrafts and medical equipment. These structures are typically used in aircraft designs to reduce weight. But a key requirement of these is that they must be able to resist buckling, and maintain their strength and structural integrity. This has created significant challenges for engineers in the past given that thin-walled tubes are prone to buckling. What’s more it can be difficult to predict the exact loading conditions that can cause buckling. To make this a little clearer, try picturing a drinking straw. As you are no doubt already aware, these long tubes have a bad habit of suddenly giving way when you bend them – very annoying! In an attempt to find a solution to this pervasive problem the team of researchers are examining in detail the legs of several insect species including locusts, stick insects, bees and even the humble cockroach, in order to determine exactly how their tiny legs are able to withstand pressure. If you’re wondering what drove the scientists to choose these insects in particular as their choice of subject matter, it’s because they represent a variety of different leg structures. What’s more these critters all use their legs in different ways in their natural environments. So far, the teams investigations have already uncovered an array of intriguing insights. For example, this research has revealed that a stick insects’ legs feature five longitudinal ridges. These ridges help stick insect legs to resist a particular type of buckling known as elastic buckling. By contrast, the legs of a bee feature a triangular cross section, in addition to a large flat area that houses the pollen basket. Significantly, tests revealed that this area does not have a significant impact on the bending movement of the insects legs, demonstrating that materials with non-circular mid-sections can still be produced without compromising the mechanical strength of the structure. Finally, the team has also found that cockroach legs are in fact hollow, and feature an almost circular mid-section. It’s thanks to this unique design that these insects are able to come close to breaking point when they jump and take to the air. The team behind this research believe that by understanding exactly how insect legs work, we could one day develop a wide range of biomimetic materials inspired by the structures found in insects legs. So in answer to our earlier question maybe, just maybe, we will one day have cockroaches to thank for helping us to take to the skies. Here at European Springs we love to keep up to date with all the latest news from the engineering field including captivating – if a little surprising – stories such as this. As supplier of a wide range of spring products, including torsions springs , we appreciate how important finding the right design can be. All of our springs are designed and manufactured to only the highest possible standard to ensure they are able to deliver optimal performance. For more information about our service, simply contact our friendly team, by giving us a call on +44 (0) 208 663 1800 today.